It just won't go away. No matter what I do, I just can't get this darn cold to kick the bucket. I bought some Cold Relief meds today. They did nothing but make me dizzy and nauseous. I have been drinking a ton of fluids and trying to rest, but this cold is stubborn. I am hopeful, though. I will be gone soon. 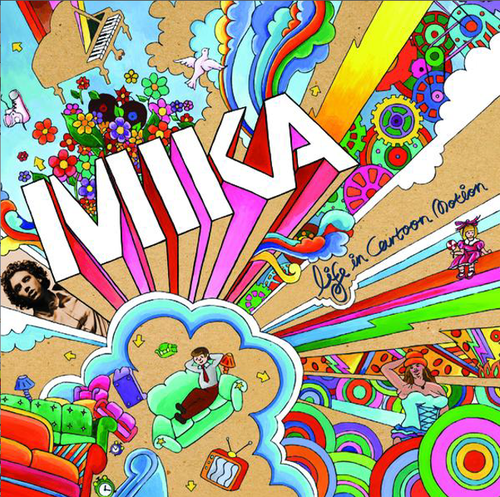 Been listening to Mika lately. My favorite is Grace Kelly from Life in Cartoon Motion. That album is great. Not a bad song on it. Its upbeat and high paced. It makes me want to bust out some moves. He was in town performing on Wednesday, but I missed it. I wish I could have been there. iPhone users should definitely check this out. I love the designs they have to use as wall paper. This site is a great place to get some fresh ideas and good inspiration. Sign up for their mailings, too. I am such a sucker for print media. I love to hold design in my hands. Veer sends out some of the best mailers. On that topic...we discuss this quite a bit in school. It often reminds me of the discussion about digital vs. paper scrapbooking. Is print dead? As technology become more advanced people are turning more toward the internet and e-mail to gather their information. Interactive media is a huge part of our education in design school and old techniques like print making are becoming less and less. Can print die? Will people ever not read the newspaper? Will magazines become extinct? Will websites be the focus of most designers? For me, there is such a sensation difference between print media and interactive media. Print is 2D (for the most part). You hold it in your hands. You can feel the textures of the different papers. You can smell the ink. Its a very physical experience. This is lost with interactive design. Yes, you can click buttons and interact with the media, but the physical sensations are all lost. As a designer, I think it is important to know how to do interactive work. It is part of the future. But do we give up on paper? on print? The discussion of print vs. interactive media always lead to other topics, like going green. I am a huge advocate for going green. I try to do what I can help the environment. The truth is landfills are being filled with paper and products of design. There are things we can do. Soy based inks are becoming more popular. The manufacture of recycled papers is becoming more efficient. Sustainable design is an every growing market. Even scrapbook companies are beginning to make the switch. Creative Imaginations has recently taken a huge step in the right direction. What are your thoughts on the topic? Is print as alive as it once was? Is interactive media the way of the future? **Don't forget to enter the drawing in my last post. Check out Gina's give-a-way, too. 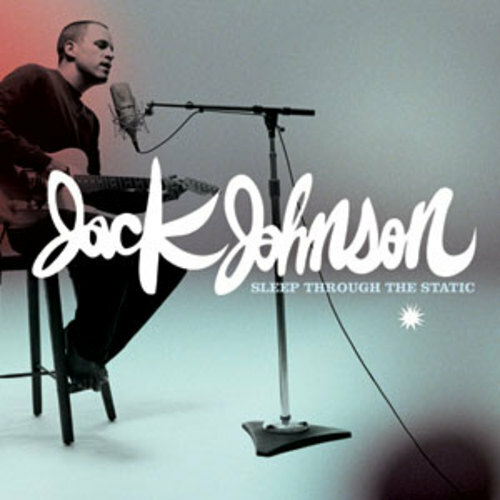 Jack Johnson's new album Sleep Through the Static became available today. I have been waiting for this album to be release for a while now. I am a pretty big Jack Johnson fan. His tunes are just so mellow and calming. Great atmosphere music. Check it out here.